It's Snow Dogs 2: Ice Rink Strippers, starring Cuba Gooding Jr. Okay, maybe that's just wishful thinking, but the Oscar-winning actor did show off his abs recently at a hockey shootout at an ice rink in Chicago. During the Chicago Blackhawk's preseason opener game against the Detroit Red Wings, Gooding participated in the "Shoot the Puck" contest during the game's second intermission. Gooding missed the first two shots. The situation was looking dire. The air was tense. But the actor made the last shot, to the elation of the crowd (unfortunately, no, he did not yet "Show me the money!"). So of course, apropos of absolutely nothing, Gooding proceeded to take off his jacket and unbutton his shirt, letting it blow in the chilly breeze Fabio-style. You know, like you do when you make a goal in a freezing ice rink. But hey, we're not complaining, and neither was the crowd, who cheered even louder in approval. For a 46-year-old father of three, dude is in shape. So do your thing, Cuba Gooding Jr. Because as the very excited announcers said following Gooding's shirt removal, "I'm fairly sure we're not going to top this the rest of the season." 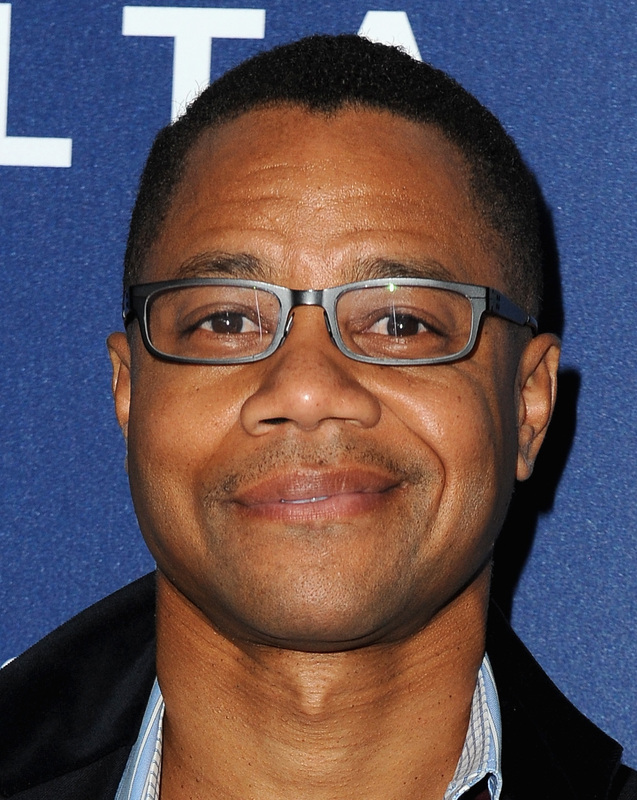 That's right, Cuba Gooding Jr., for the Chicago Blackhawks, you just made their entire season (insert some kind of sports joke here).